I have the insurance inspector coming tomorrow to look at the roof. I guess they visit to ensure that the roof is worthless. I am going to try and get them to cover it in tin – I do not want these 3 tab shingles anymore. Down here – in Hurricane Land – these 3 tabs are not a safe choice for us – you lose a few – and you have problems – which I how I started this journey – to get the roof fixed .. now I am in a maze. 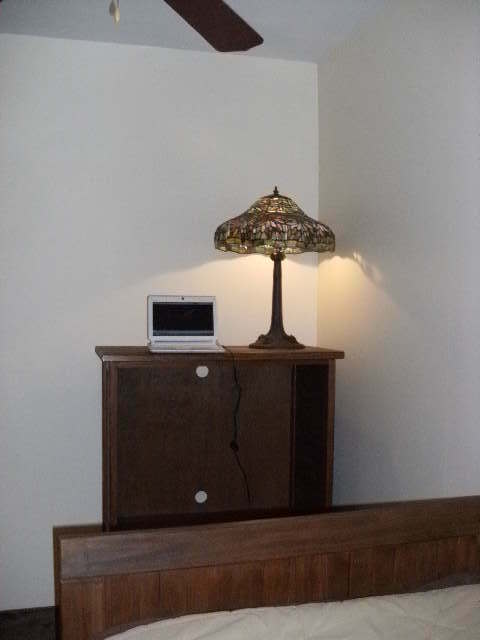 1) So far – the Master bedroom is done !! 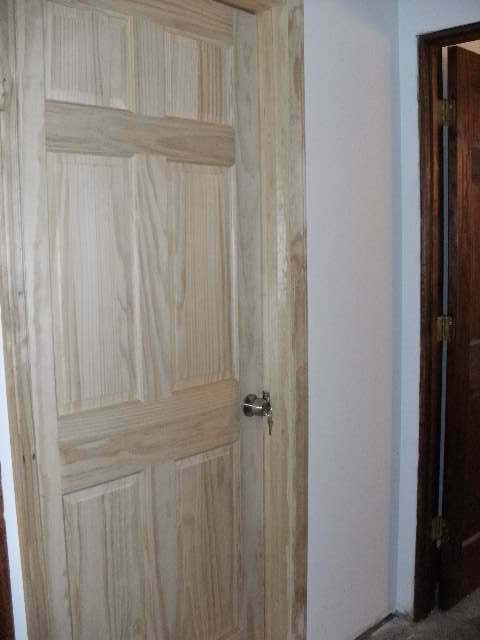 Jim finished putting in the closet doors- which had to be custom cut – because the house shifted -? 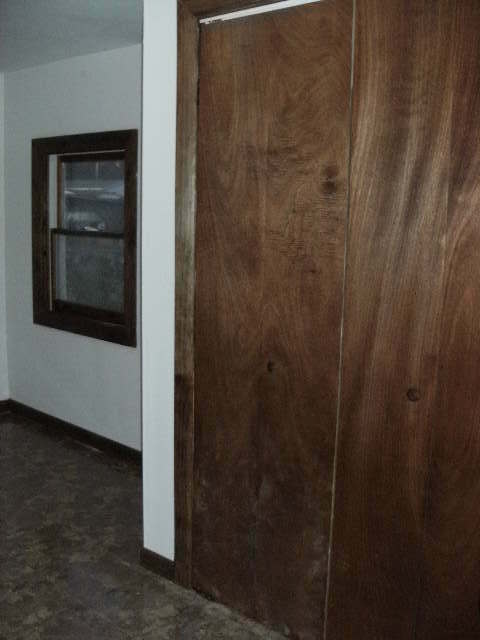 And the closet frame was not straight ( or the work of my ex ), but it took Jim using his table saw to get these doors in. 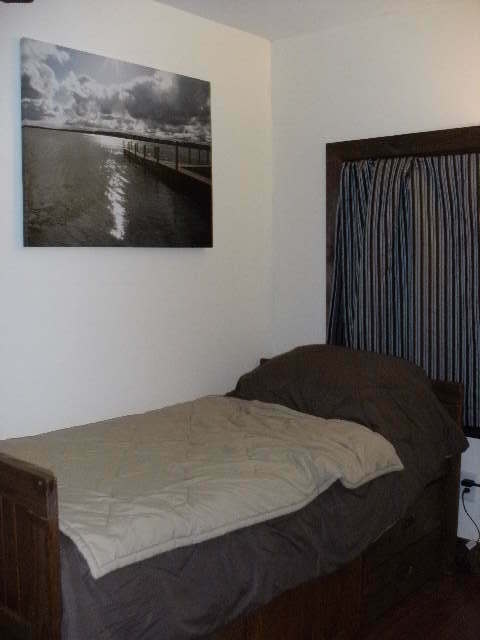 2) My bedroom is done – I stained my captain’s bed and TV stand – to be a darker color. It looks more mature. And I saw this large photo, of a dock on the Lake , and just fell in love with it. After living on the coast for years – with rough waters and seawalls collapsing, and erosion – I decided its time for a change. So now, I like still, calm waters –for smooth sailing. I still hope to take sailing lessons in the future. I am just waiting for my Home Depot closet door – which had to be ordered. My closet is 92” high. 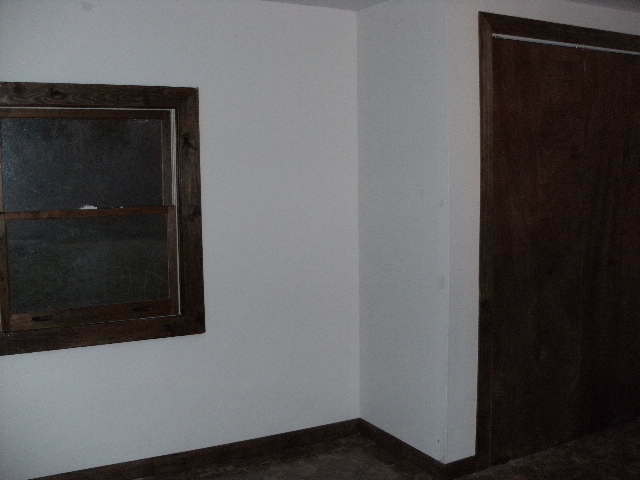 This door is lockable, and I also stained it a dark color – just forgot to take a pic of it. 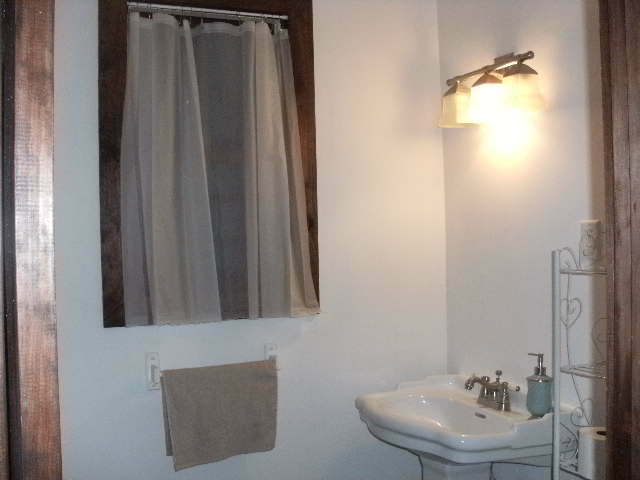 3) The Half Bathroom is done – it looks white & clean. I have to clean up the mirror- i painted it a color to match the red wood – but i am not done with the mirror yet . 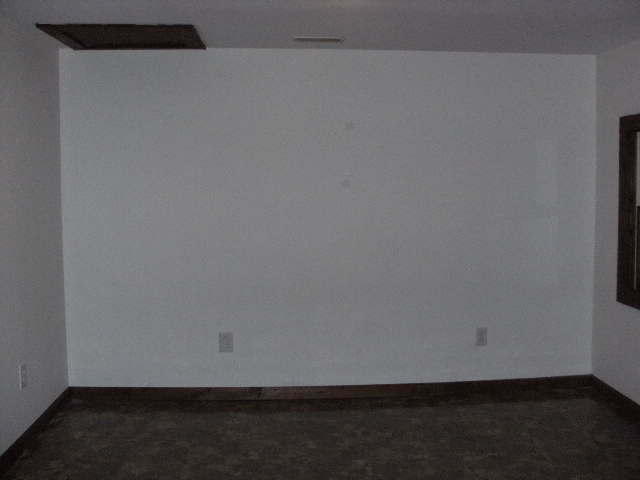 4) The Dining room – the walls are done. I had to mud & sand here too. 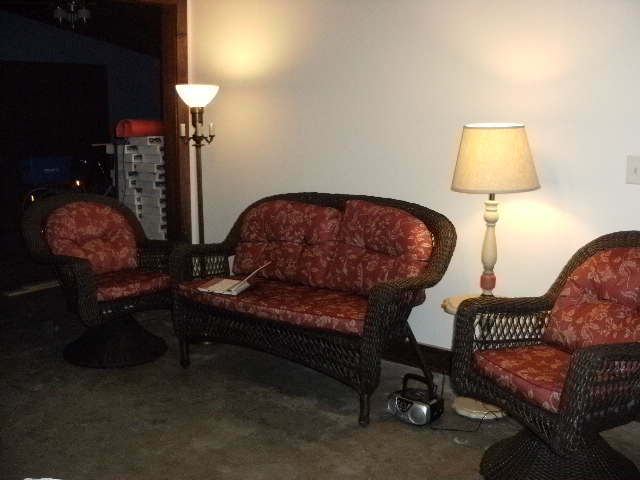 I went to the flea market – and a man was selling this 4 pc set – with the cushions for 150. What a deal ! And the chairs are a small rockers, so they swing around and rock a little. This is such a cute set – that is wicker. When I leave- this will fit in my bedroom, on the bed, stacked up. They are light in weight which is perfect. The floor is being done by Jim. 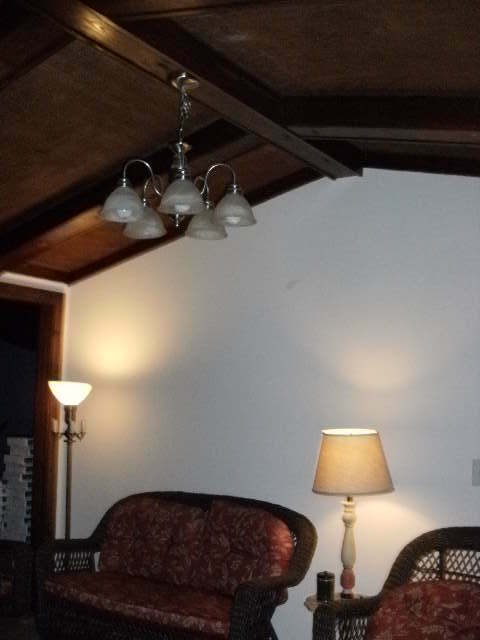 So I have 4 rooms down – and 5 more to go – almost half way done !! 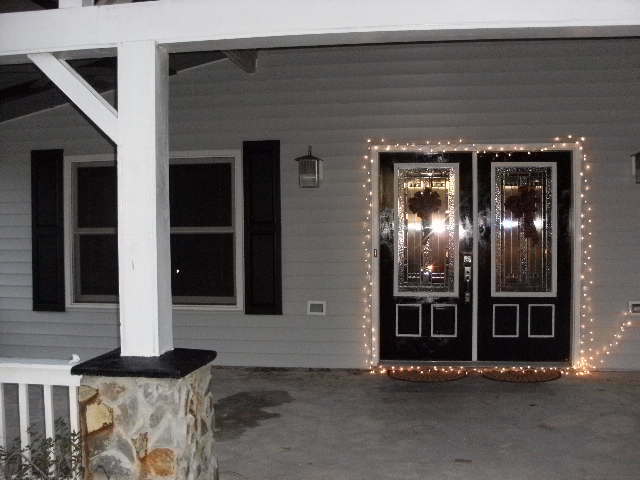 I strung some Christmas lights outside – to cheer my self up ..and let the neighbors know – I am back – do you like the shutters? I think it finishes off the look. WOW!!! I am floored by the work you have done single handed!! I know I could not have tackled this much work in my “good” days!! Also happy to see you put lights up! !